Having a functional bathroom space is essential, and what better place to start than with the flooring! 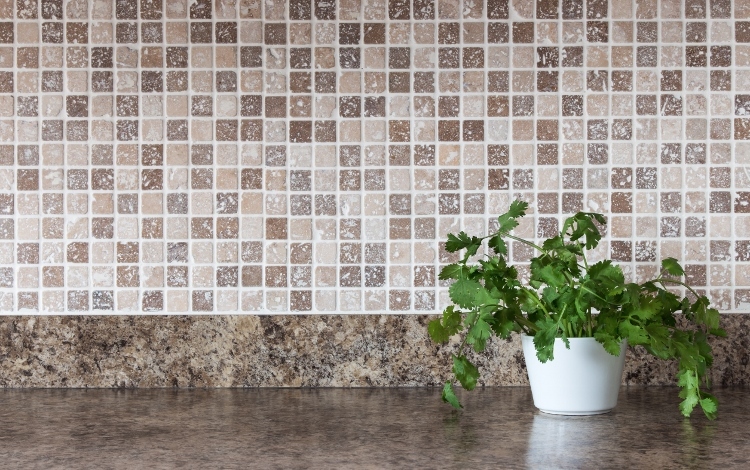 While tile seems to be the obvious and most popular choice, there are so many different options of tile to choose from. Here is a guide to some of the most popular bathroom tile materials to help you select the one that will work best for your style and needs. If you are looking to give your bathroom an extremely elegant feel, then marble tile may be just the flooring option for you. Marble tiles are one of the more expensive flooring choices, but also one of the most beautiful. When polished, marble floors reflect light well, making a small bathroom space feel more open and large. Marble also features veins and coloring that can be hard to find in other natural tile flooring materials. There are a few things to note about marble before making your final selection. First, marble tends to stain due to its very porous nature, so some maintenance is required to keep it looking its best. Marble floors can also be somewhat slippery when wet. If you believe that may be an issue, we recommend placing a rug or non-slip surface outside of the shower or tub. Considered to be one of the most durable natural materials for flooring tile, granite is a very popular choice in the bathroom for several reasons. First of all, granite tiles are extremely hard to chip, crack, or break, making them a good selection for both flooring and countertops. Granite also comes in a wide variety of color choices, with something to fit nearly every bathroom style. Granite is a naturally porous material, so it will require some sealing and maintenance to keep it looking brand new. Over the last few years, travertine has increased in use as a bathroom flooring tile material, and continues to grow in popularity. To begin with, travertine is more affordable than many other natural stone tiles, such as granite or marble, but is just as unique and often as beautiful. Travertine tile can be found in a textured finish, which has natural non-slip properties, as well as a more polished product. Limestone, while not as popular for bathroom floors as some of the other natural stone materials, really can be a good option to consider. Limestone is similar to travertine, but it is generally harder and more resilient. While the colors are not as vibrant and vivid as those found in marble or granite flooring, limestone has unique striations that give it a “wood” look and make it unique. Limestone, though, does absorb water quickly and easily, so be cautious as to what particular area you use it for in your bathroom. Creating a space that is glamorous, comfortable, and usable is not always easy. 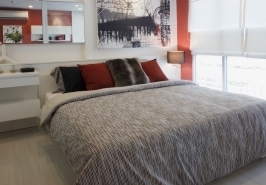 And, if you are faced with a bedroom that is small in size, it can be even more of a challenge. Just as having the right tools makes completing a task easier and more efficient, choosing the right finish for the stone in your home can really make a difference in appearance, usefulness, and overall life.